Anne Splingaerd Megowan was born in Tianjin, China, when the city was still called Tientsin. Her father, Joseph Splingaerd, is the only surviving grandson of the subject of her book, Paul Splingaerd, “The Belgian Mandarin”. After leaving Tientsin, she lived in Hong Kong, Yokohama and Mexico City, before settling in Los Angeles, where she now resides. Here is how Anne is related to Paul. 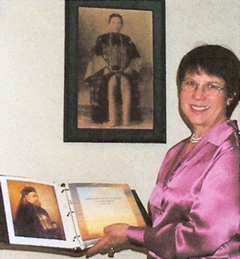 Anne’s quest took her in 1996 to Paul’s birthplace, Brussels, and more recently in 2005 to China where she traced Paul’s footsteps from China’s eastern seacoast, through Inner Mongolia, to Gansu province. See Photos from Anne’s Trip. Paul’s Story” which is a work in progress. Recently the city of Lanzhou invited Anne to join in their celebration of the 100th anniversary of the construction of the first iron bridge across the Yellow River. Paul proposed this bridge to Governor Peng and attempted interest Belgian firms in pursuing this as a business opportunity. Paul died before realizing his dream of a safer all season crossing of the river for the people of Lanzhou. After his death a German firm obtained the construction contract and built the bridge which still serves the city today. The trip to Lanzhou for the celebration on August 26, 2009 was a memorable event for Anne. Anne and seven cousins were invited to be guests of the city at the festivities and were given the unexpected honor of being conferred honorary citizenship to the city. The televised event in front of dignitaries, drummers (not as many as at the Olympics, but quite impressive), a full orchestra, and fireworks, made them feel quite special. 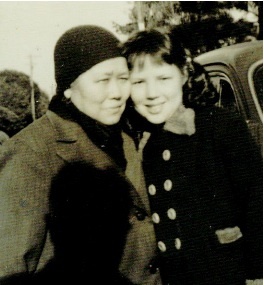 In Lanzhou, Anne met with cousins related to Nainai’s Zhang family (paternal grandmother) and gave them a specially prepared photo album of pictures passed down by her parents showing Grandfather Remy Splingaerd, his wife Anna and their children. A copy of this album can be viewed here. 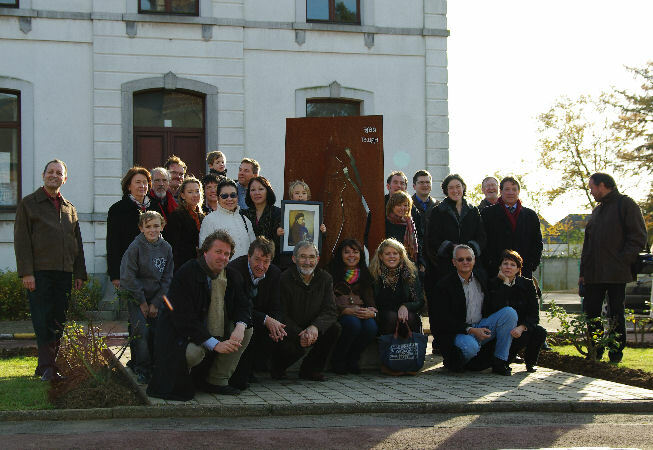 Family reunion in Ottenburg, Belgium – November 2008. 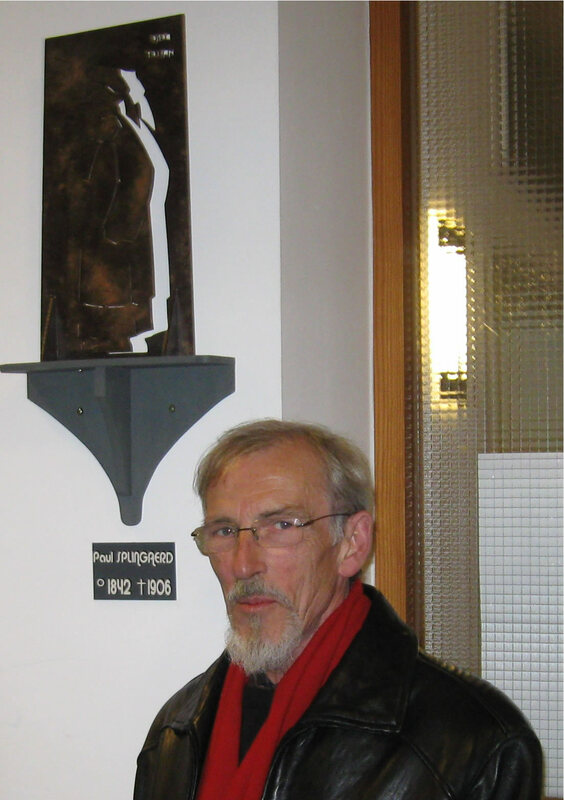 There is much more information about Paul Splingaerd and his family at the wonderful site built and maintained by Christian Goens in Belgium.